The animal centre situated on the Shuttleworth Estate, Old Warden, Biggleswade, Bedfordshire, has been established for 17 years and is in need of replacement, allowing us to meet modern requirements of care for sound zoological standards. A centre to accommodate a wide range of species and maintain professional standards, with a very unique twist! This centre is a first of its kind within the state education system, to accommodate a biosphere, allowing for an immersive experience hence connecting with the natural world. A wide variety of species of taxa from Avian, Amphibia, Reptilian and Mammalian will be housed in naturalistic enclosures enhancing experiences for trainees and visitors to the centre. The animal centre has a wonderful dedicated focus towards education of learners enabling them to establish skills, focusing on conservation and ethical considerations of the world’s wildlife, by doing this we work alongside zoos and wildlife parks and provide good quality education within a specialist focus of living things and caring for the environment. Helping to maintain vulnerable species whilst broadening the skills of learners and visitors as a whole. 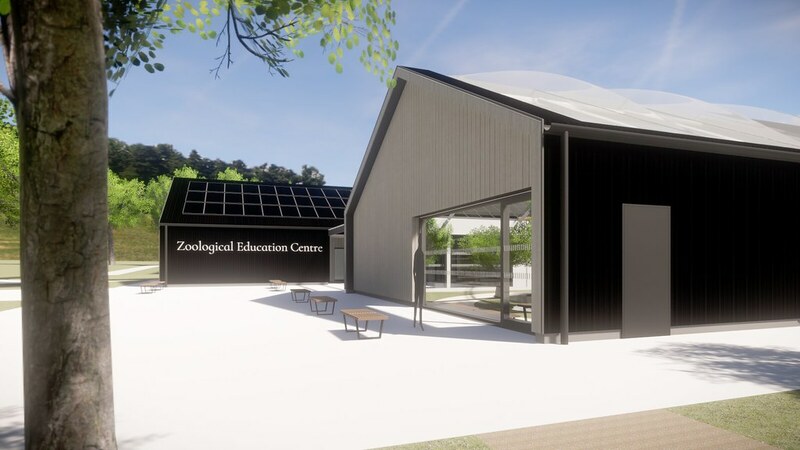 The dream for a new zoological training centre with innovative education to immerse learners into a state of the art learning environment to develop hands-on skills with wildlife and study these species on a day to day process. This facility will accommodate the wider range creating exhibits that enable learners to see how animals and plants interact in surroundings as close to those in the wild as possible. Lending for opportunity to really immerse yourself in the flora and fauna of a region no matter the academic ability. Providing strong links between habitat and conservation awareness to promote ethical thinking about the natural world and the effects on animals and plants. We aim to promote small scale research which will contribute to knowledge in the centre. Our unique approach will allow trainees to develop their skills and improve knowledge and understanding for a wide range of specialities. Learners and staff will be immersed in a purpose built building, lending to all possibilities to liaise and develop expertise and skills whilst working in this environment. Allowing us greater provision to focus on study opportunities with specialist non-domesticated species housed. Enhancing sustainability, including the growing of animal feed and effective waste management systems with the vision of minimal waste provision. Allowing us to utilise the centre, for training and good standards within industry to educate all. We are great believers in self-development and feel this provision will really benefit the local community as a training centre for devotees and learners of all levels, to experience a slice of nature and therefore maintain the educational balance for all, between flora and fauna. The college supports a conservational focus of the natural world as an educational experience, enabling learners to gain invaluable opportunities to view and study all flora and fauna in a purpose built centre. Courses tailored to maintain the broad-spectrum of animal care and welfare on a practical basis, many learners will get the opportunity to see a biome, as a slice of the living rainforest and discover a wide variety of flora and fauna species housed within. ‘See the vision of a learner walking through the tropical rainforest and smelling a coffee tree, whilst listening to the beautiful song of a tropical starling or observing a hummingbird darting back and forth whilst feeding from a honeysuckle bush’. Many people might feel disillusioned with traditional teaching methods that don't fit with the way they learn – not everyone enjoys learning in classrooms. Our new biome will aim to transport students to the wild –creating a truly immersive experience allowing a connection with animals in a way not previously seen in education in the UK. Imagine the discoveries that can be made by moving a leaf to find a tropical amphibian, listening to real life exotic bird calls and waiting for a free-roaming lizard to cross your path. We want to inspire the naturalists of the future, the generation that will go out into the world and make a difference conserving and preserving the natural world. Education needs to keep pace with the animal industry to equip people with the skills needed to succeed – and what better way to do this than creating an enrapturing tropical paradise. The development is planned to provide many years of educational service, to enhance learners understanding and ability to really make a difference with the natural world.